On the street – make sure to have the proper license for this! Light weight cardboard donation boxes that you can fold out and display just about anywhere! You can use them for your fundraising or even to collect all those pennies lying around the house. Just keep in mind not to use them for public collections as they don’t come with any security features. Orange tins that are great for having a few distributed around your fundraising event or having by the till for a store collection. Comes with a security seal that you can break after the collection. 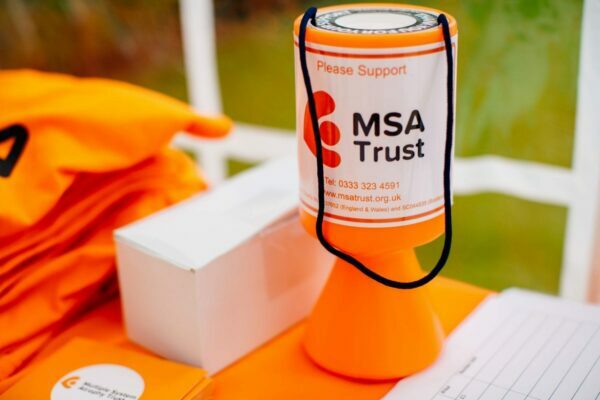 If you are thinking of having a public bucket collection then turn up with your MSA Trust T-shirt and our bright Orange MSAT bucket (don’t forget your smile!). Make sure to choose places with heavy footfall – railway stations, busy streets, shopping centres etc. Buckets comes with security features such as security seal for the lid and cable ties to lock bucket to the lid. We can provide a collector’s certificate of authority, that authorises you to collect on behalf of MSA Trust. 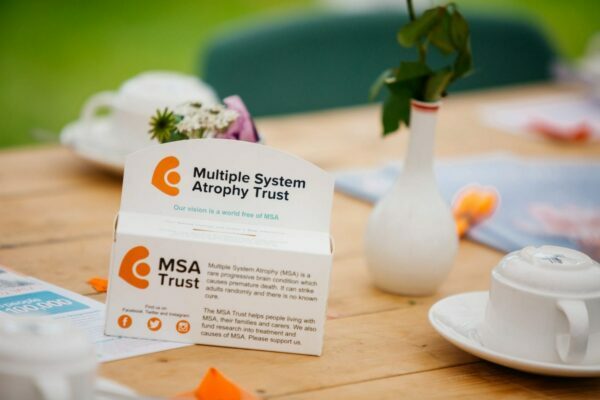 Click here to see how that looks and email fundraising@msatrust.org.uk to have one posted to you. A great way to collect cash and/or cheques from your donors. They can fill out the Gift Aid information on the front so that we can claim an extra 25p for every £1 donated! Note that it is unsafe and discouraged to send cash in the post. Please convert any cash to a cheque or see below for more options. You can send the empty completed envelopes back to the office for us to claim the Gift Aid. Bank the collection at your local HSBC branch using a pay-in form. Email fundraising@msatrust.org.uk to have one posted to you. Bank the collection and donate it online or call 0333 323 4591 to make a payment over the phone. Bank the collection and transfer it to MSA Trust bank account. Email fundraising@msatrust.org.uk for our bank details. 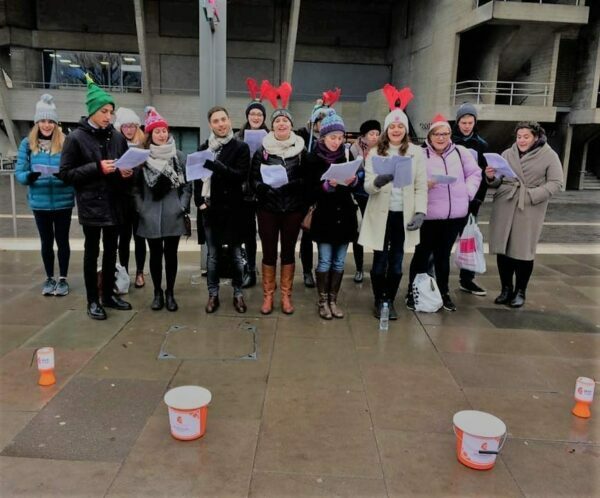 You can send us a filled out collection receipt so that we know whom to thank and what was the fantastic amount raised!